Considering I’ve been knitting for the best part of twenty years, it could come as quite a surprise that I have fewer than five hand knit items in my wardrobe. 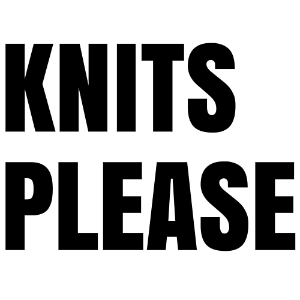 I’ve knit multiple times that number, but for some reason they don’t seem to last. 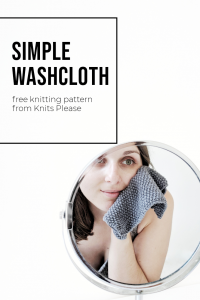 I absolutely adore the process of knitting, and I love having an item that I’ve made myself, but something about my past endeavours has left me wanting, and, ultimately, most of the things I’ve knit just don’t make the cut. I think that a lot of the knits I’ve made in the past have come from a place of convenience; the secondhand knitting pattern that my Nannie gave to me, the yarn that was on special offer; the colour that I loved for a season but lost interest in just as quickly when something else came along. I guess my experience with knits (and knitting clothing to be specific) kind of parallels my personal style evolution. When I was younger, I craved anything that was bold and different. Vintage was my go-to, and the money from my Saturday job could only stretch so far, so cheap was a necessity. As I got older I worked in fashion retail, so everything was fast and style was constantly changing. A few years down the line and a career break meant funds were tighter than ever, so it was all about make-do-and-mend. As time has gone on, my personal style ended up an accumulation of everything that was left over from these phases in my life, and it just didn’t feel like me anymore. I recently found myself daydreaming a lot about throwing away the majority of what I own, under the realisation that I’d moved on from the person I was when I’d got it. I set myself a little experiment, and removed everything from my wardrobe that I didn’t actually like, which turned out to be a lot. I was left with fewer than ten items of colour. The rest was a spectrum from white, through grey, to black. Something about looking at that monochrome made my heart feel easy and settled. Like all of the mess that I was pushing through on a daily basis suddenly cleared and it felt somehow right. I think with time and age, I’ve come to know myself better, and while I will always have time for those colourful and quirky elements of my personality, I’ve realised that what I really want, outwardly at least, is simplicity. Now that I understand what my style really is, I know the knits to create to fit that. No more burnt orange half sleeve jumpers; I’d never pick the colour over black and I don’t want my forearms to get cold! Instead I’ve been trying to identify areas of need. A good cardigan for layering and keeping my arms warm in Winter, a lightweight jumper that will see me through the transitional seasons, crops and longlines, because there’s something about middle lengths that I find unflattering. It’s a good feeling when you experience some kind of breakthrough, and it’s even better when you can see how to make your hobby serve just the purpose that you need; to help you be even more of just who you are.